A Texas legislature called Immigration and Customs Enforcement on disruptors at the Texas Legislature who claimed to be illegal immigrants. When he told other legislators of his action, a scuffle broke out on the floor. This video shows the level of disruption that occurred before the scuffle. The "protest" was against a bill that had been signed into law days before. There are conflicting versions of events. Rinaldi, the Republican who Called ICE, said he was assaulted and threatened by Romero and other Hispanics, who had to be held back by other legislators. He claimed that another legislator, Poncho Nevarez, specifically threatened to "get him" on his way to his car. Rinaldi then says he said that he would shoot him if he were attacked. A personal firearm levels the playing field between a mob and a single legislator. The press conference by Romero said that Rinaldi threatened them, never mentioning the previous threats. All this came about because several protesters claimed to be in Texas illegally and claimed that they would stay illegally. That is when Rinaldi called Immigration. This is what happens when you ignore the rule of law, which has been the case for the last eight years, if not more. No disagreement between lawmakers should ever escalate to scuffles among the desks. But Republicans are not going to back away from the enforcement of existing laws demanded by their voters. If Democrat voters wish for their representatives to dismantle those laws and turn a blind eye to illegal immigration, that is a debate every Republican will welcome. What we will not do is tolerate lies about our motives. Romero knows full well that Rinaldi was not trying to get the whole gallery full of protesters deported. Nevarez and the rest of the Mexican-American legislative caucus know that none of this is about race; it is about behavior. But it is harder to argue that following the law is somehow a bad idea. Better to simply smear opponents as haters and hope they are cowed into submission. What is not being talked about is the disruption of the legislature and the intimidation by the "protesters". It appears to be a pure power play by the pro-illegal crowd. The bill had already passed and been signed into law days ago. The video is the best that I have found to show the scale of this disruption of the Texas legislature. On 19 May, 2017, Oklahoma governor Mary Fallin signed into law another reform of Oklahoma firearms law. SB 397 removed another egregious discrimination against poor people exercising their Second Amendment rights. In Oklahoma, it is illegal to bear arms on buses used as public mass transportation. Most people who have sufficient means prefer to use private transportation. In most situations it is far more efficient, effective, and convenient to use individual transport. But in some situations, such as in crowded urban centers where parking is expensive, time consuming, and hard to find, a great many people have to resort to riding buses. Those people tend to be people of limited means. If you ban people from bring arms onto buses, you have effectively chilled Second Amendment rights for people who use public transportation. Oklahoma Republicans rolled back that discrimination in 2017. The Senate passed the bill on 23 March, 43 to 1. The vote in opposition was a Democrat, Senator Matthews. The House passed the bill, after an amendment, on 25 April, 79-9. All votes in opposition were Democrats. They were F. Bennett, Blancett, Dunnington, Griffith, Munson, Nichols, Virgin, Walke, and Young. The Senate then repassed the amended bill on 11 May, 39 to 1. The same Democrat opposed the bill. It shall be unlawful for any person to discharge any firearm into or within any bus, terminal or other transportation facility, unless such action is determined to have been in defensive force resulting from reasonable fear of imminent peril of death or great bodily harm to himself or herself or another. The law goes into effect on 1 November, 2017. 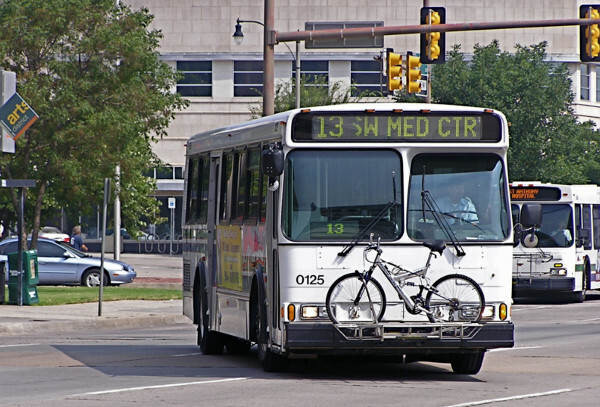 While the new law refers to "Deadly or dangerous weapon" separately from firearms, It seems that penalties only result if the weapons are used in an attempt to take over the bus. Oklahoma passed a knife preemption bill in 2015, and removed knives from the illegal weapons list in 2016. Earlier, Head physically assaulted his neighbor with a knife and the neighbor brought out a gun for protection. While the two were arguing Head slapped away his neighbor's gun. The gun fired and shot Head in the foot, said Llamas. Ayisha Falaq is a competitive shooter in India. 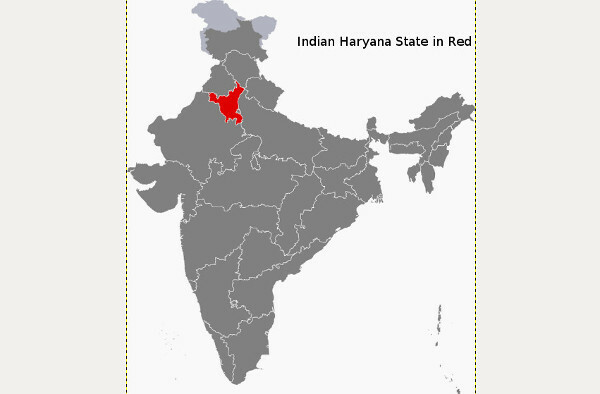 On the 25th of May, she used her licensed .32 ACP handgun to rescue her brother in law from kidnappers in a village, Bhopra near to the Haryana border. It was an impressive achievement. Ayisha is being lauded in the Indian and international media. 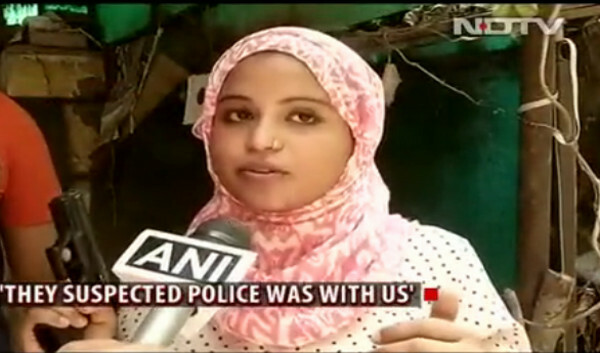 New Delhi: A national-level shooter, 33-year-old Ayisha Falaq, has been handling guns for the last six years. But last week, she took up her licensed revolver for the first time to counter crime after her 21-year-old brother-in-law Asif Falaq, was abducted. Ms Falaq, the police said, fired two bullets at two men - one bullet grazed a man, another man was shot in the foot. With a police vehicle on their tail, Ms Falaq and her husband reached the kidnappers. It was decided that she would be the one handing over the money. The rendezvous point was near the village at post-midnight. Ms Falaq, who won gold in 2015, carried her .32 bore licensed revolver with her. "They had started suspecting that we had the police with us," said Ms Falaq. As soon as her husband parked his car parallel to theirs, they started shouting 'kill them', she said. "They came out of the car and it was then that I shot them at their feet," she said. Reporters in India are even less informed about firearms than reporters in the U.S.A. It is obvious that Ayisha's pistol is a semi-auto. Nothing larger than a .32 is authorized under Indian law (there are always exceptions). What is the model of pistol that Ayisha used? It looks much like a Browning BDA. But there are anomalies. The barrel, where it locks into the slide, appears relatively square, like a Glock. The end of the slide seems rebated for a greater distance than the BDA. If you look at the top picture, the frame appears to be composite, with a squared off trigger guard. Is this the pistol she used in the rescue? Is it a prop for the interview? One account said that her pistol was confiscated by police. It seems unlikely that she would get it back so quickly. If this pistol is a prop, it is a very, very good one. Importation of pistols is not allowed in India, at least for civilians. There is a small stock of foreign made pistols that are grandfathered. They are extremely expensive. Still, the Indian bureaucracy is notoriously corrupt. Could it be a copy, made in India or Pakistan? Perhaps an alert reader can make the connection to a commercially manufactured pistol. Update: readers, including Virgal Bressner and Kovacs Jeno from The Truth About Guns have I.D.ed the pistol in the images as a Walther P22. 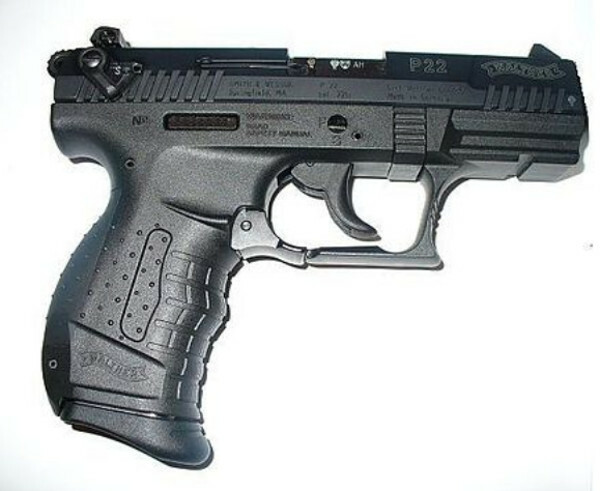 Because it is in India, it is likely the 9mm blank firing variant. 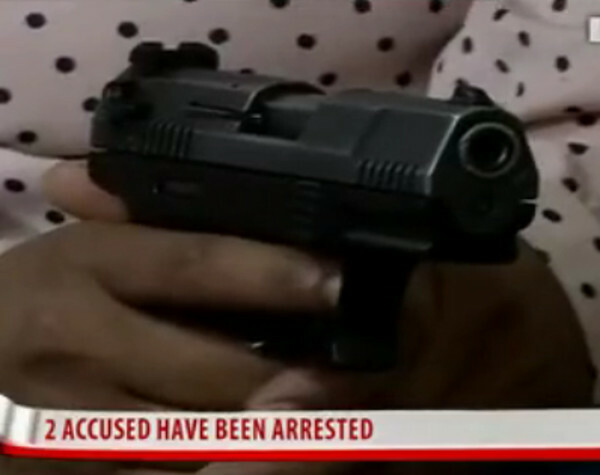 It is likely being used as prop in the photos because the actual pistol is in police custody. 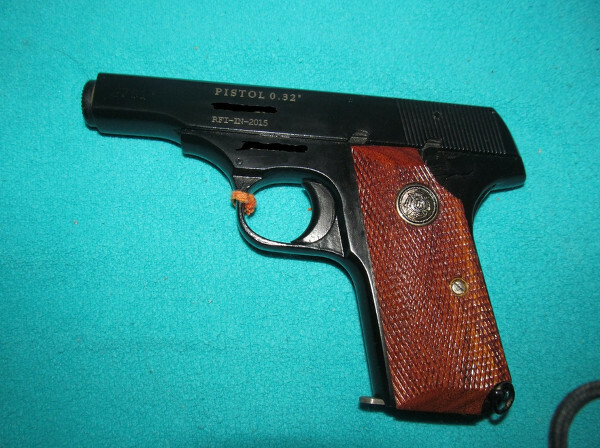 The actual pistol used is likely the Indian manufactured Ashani .32 ACP semi-auto (from goodboy_mentor) on indiansforguns.com. The man was legally armed and exchanged gunfire with the boy, police said. The boy got into a waiting vehicle and drove off into Chicago, police said. He was taken to Stroger Hospital, where he was pronounced dead. One of two teenage suspects shot by an off-duty U.S. Customs and Border Protection officer Friday night — who authorities say they were trying to rob — has died from his injuries. A 15-year-old boy was pronounced dead at 5:34 a.m. Saturday at a hospital, the Los Angeles County Sheriff’s Department reports. A 14-year-old boy who also suffered gunshot wounds is expected to survive. The alleged victims said two men forced their front door open. Police say when one of the suspects kicked in the bedroom door, he was shot. Mobile Police say 31 year-old James Key was shot in the head and shoulder. On 17 May, 2017, SB 35, the recognition of military, guard and reserve members to carry concealed weapons based on a military, reserve, or national guard valid I.D. 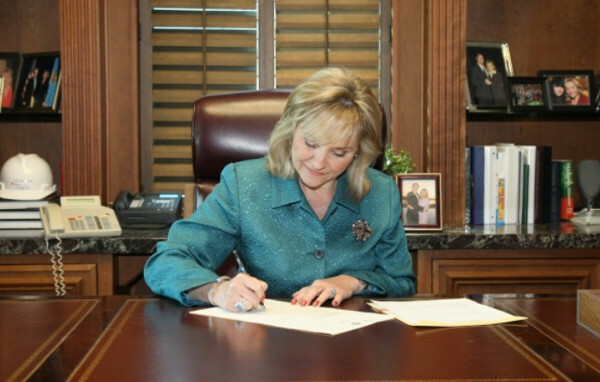 card, was signed into law by Oklahoma Governor Mary Fallin. SB 35 was popular in the legislature. It passed the Senate on 15 March, 2017, 40-2. It was amended on 11 April in the House. It passed the House on 19 April, 2017, 85 - 0. The amended version then passed the Senate unanimously, 46-0. It was signed by Governor Fallin on 17 May, 2017. The act goes into effect on 1 November, 2017. A. Any person entering this state in possession of a firearm authorized for concealed or unconcealed carry upon the authority and license of another state or a valid military identification card as provided for qualified persons in Section 1290.8 of this title is authorized to continue to carry a concealed or unconcealed firearm and license in this state; provided the license from the other state or valid military identification card as provided for qualified persons in Section 1290.8 of this title remains valid. There are about 2 million active military and reserves in the United States, and about 460,000 national guard members. A significant number of them will be under the age of 21, but about 1.5 million will be 21 or older. This increases the pool of people able to carry concealed weapons in Oklahoma by about 1.5 million, or about 10% more than already exist. The number of people in the United States with carry permits exceeds 15 million. Another incremental step to extend the right to carry in Oklahoma would be to include veterans with an honorable discharge. It could happen, but it seems more likely that Oklahoma will pass a "permitless" or Constitutional Carry reform first. In 2011, on November 2nd, The Lincoln City Police Department received a call about a young man displaying a firearm in an Astro van outside of a convenience store. The call lead to the felony stop of an Astro van about 4 hours later. In the van was 58-year-old black pastor who was a double amputee. The officers forced the pastor, Leroy Duffie, to exit the van with his hands held up, after he had told them that he could not do so because of his disability. At gunpoint, Duffie opened his door, and twisted his body in an attempt to comply. He then fell face forward to the pavement, suffering significant injuries including loss of two teeth and a torn rotator cup. Duffie sued the police department for depriving him of his constitutional rights, of using excessive force, searching his van without his consent, and placing him in danger of physical harm without due process. The trial court granted qualified immunity to the officers and granted summary judgment against Duffie on all counts. Duffie appealed to the Eight Circuit. The 8th U.S. Circuit Court of Appeals in August reversed that decision and ruled Officers Nathan Kaiser, Tobias Hite and Shane Jensen violated his Fourth Amendment protection from unreasonable search and seizure. The judges took issue with the reason for the stop, saying a report of a person with a handgun isn't enough to create a reasonable suspicion of a crime, and in Nebraska and Lincoln people can openly carry handguns. Pastor Duffie was ordered out of his van with his HANDS UP, held high. He could not use his arms/hands to help himself out. He tried his best to obey the police but fell out of the van because of the police orders. They had their guns out and pointed at him. What would you have done?? Refused their demands?? I know Pastor Duffie very well, he is one of my best friends and I attended his homechurch for several years until I moved to Kansas. We talk weekly. He is one of the most Christian men I know. These are the decisions whereby Constitutional rights are preserved. "Shots were fired within the home," Miami Police spokeswoman Kenia Fallat told CBS Miami. "We know, from the homeowner, that he was forced to fire after he confronted a man inside the basement of his house." A home intruder shot an 80-year-old man Wednesday night, Statesville police said. The intruder forced his way in through the back door of the man's Buffalo Shoals Road home at about 11 p.m. The victim was able to grab a handgun and shot the assailant and they continued to wrestle with it. That was when the intruder got hold of the gun and shot the victim. The injured intruder fled with the victim’s money. Pedro the police dog met an untimely off-duty death when he was mistaken for a coyote, shot and killed. Pedro lived with Broward sheriff’s Sgt. Ian Sklar in Parkland. The dog got out of Sklar’s fenced-in yard while running after an animal, according to sheriff’s officials. In March of 2016, members of Michigan Gun Owners and Michigan Open Carry were illegally expelled from a booth they had rented at the DeVos Place Convention center. They were expelled because they were openly carrying holstered pistols. He argued that the properties are public and, while organizations leasing them could choose who they invite to a private event, they can't implement firearm regulations, and public entities cannot enforce them. After hearing an hour of arguments and reviewing both sides of the lawsuit, Rossi sided with the open-carry advocates. The judge advised that the wording of the venues' weapons policy should be updated to properly align with Michigan's state gun laws. The case is an example of the requirement to be willing to fight to enforce the law. The law may be on your side, but if the local powers that be are willing to flout it, they can succeed in destroying your rights with little effort. Second Amendment supporters have had the Constitution on their side since the beginning. Then supporters built the organizations and communications networks to elect responsive politicians, pass laws and strengthen state Constitutions. Now supporters are in the process of enforcing the laws that have been passed. Suppressing open carry is primarily aimed at suppressing strong, symbolic, political, speech. People who see a person unapologeticly carrying a firearm learn an important visual lesson. 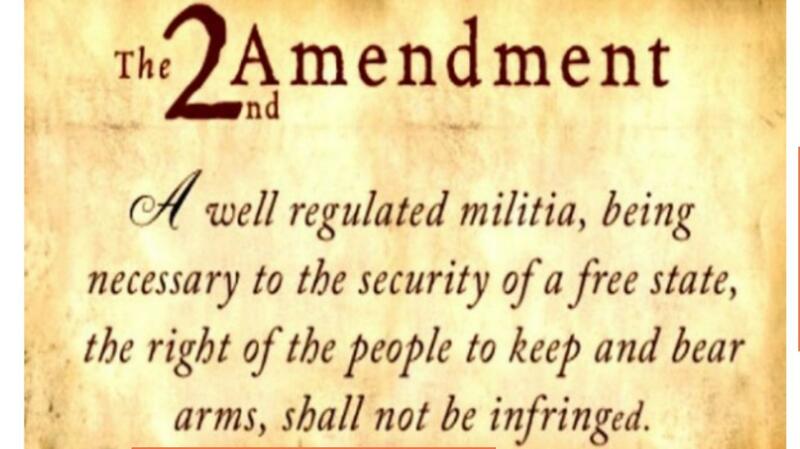 The right to arms exists, is exercised, and is enforced. The state has limits to its power. Those are powerful messages in Michigan, and over all of the country. CLEVELAND, Ohio -- A 23-year-old employee of an Ohio City gas station fired several gunshots at two smash-and-grab suspects and thwarted the attempted ATM theft in the process, the employee's brother said. When Maestas walked in on the guy, he was in the middle of robbing him blind. According to Maestas, he jumped up on the countertop and made his way up to a heating vent. Maestas shot at him, but he got up and escaped across the rooftop. "I just reached over and didn't even look, shot one round close as I could get to him," Maestas said. After coming back, a man wearing a bandana pointed a gun at them, Jonathan Cain said. So Pete Cain took aim at the would-be robber and ordered him to put his gun on the ground. The man seemed to comply, slowly lowering it. But then he jerked up and fired, hitting Pete Cain in the stomach, his younger brother said. The shooting of a 78-year-old woman by her husband in Red Lion will not lead to criminal charges, the York County District Attorney's Office said. Joan Reichard was shot in the chest early in the morning on Saturday and taken to York Hospital with what state police said at the time was a non life-threatening injury. Governor Mary Fallin signed Oklahoma's defensive display bill, SB 40, into law on 15 May, 2017. The bill will go into effect on 1 November, 2017. The vast majority of defensive gun uses consist of showing the perpetrator that the intended victim is armed. Unfortunately, many states have laws that do not recognize that reality. In many states, merely pointing a firearm at another person, even for self defense, can be a felony, usually aggravated assault. The problem is that prosecutors with an agenda have used the law to punish people for clear self defense situations. Because of that, states have started to clarify the ability to threaten force without shooting. These laws protect the use of a a weapon in a defensive display. Arizona, Florida, Iowa, and other states have enacted defensive display laws similar to the Oklahoma bill. The bill was popular in the Oklahoma legislature. It passed the Senate 36-5 on March 8. It passed the House on 82-8 April 25. Governor Fallin signed it on 15 May, 2017. It is generally considered a much better outcome if an attacker runs away, rather than is shot and/or killed. Perhaps they will be disuaded from further attacks. But this law makes it unlikely that innocent defenders will be destroyed by being processed though the criminal justice system. Cats 1,100 times as deadly to wildlife as lead poisoning? The number of animals that die from lead poisoning because of lead projectiles or lead sinkers on fishing tackle, is highly disputed. The high end estimates are about 10-20 million a year in the United States. Let us put that into perspective. 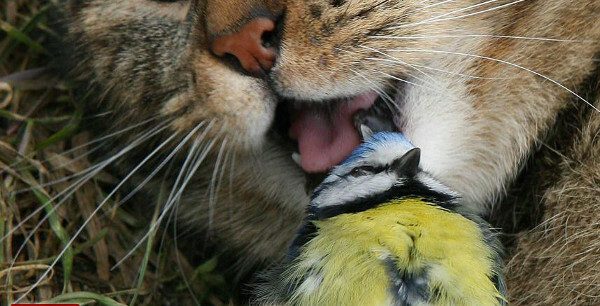 Cats kill birds and small animals. Lead poisoning kills some birds and animals. Animals are killed in collisions with vehicles on our roads. All animals die. How significant are these numbers? In Internet wanderings I came across some numbers that show that estimates of the deaths by these various means are pretty wild. The articles claimed a median of 15 million birds and animals killed by lead poisoning, vs. a median of 16.95 billion killed by domestic and feral cats. That is 1,130 birds and animals killed by domestic and feral housecats for each bird or animals killed by lead poisoning. In addition, it has been claimed that 365 million birds and animals are killed in collisions with vehicles on our roads. That would be about 24 times as many killed by lead poisoning. (Washington, D.C., January 29, 2013) A new peer-reviewed study published today and authored by scientists from two of the world's leading science and wildlife organizations – the Smithsonian Conservation Biology Institute and the U.S. Fish and Wildlife Service (FWS) – has found that bird and mammal mortality caused by outdoor cats is much higher than has been widely reported, with annual bird mortality now estimated to be 1.3 to 4.0 billion and mammal mortality likely 6.3 to 22.3 billion individuals. This article claims that 1 million animals are killed every day in vehicle/animal highway collisions in the United States. That is 365 million animals killed on the road vs. 15 million killed by lead poisoning. But consider that there are about 10-20 billion birds alive in the U.S. at any one moment. There are probably about 1-5 times as many mammals as birds, so a rough estimate would be 40 billion mammals, about double that for reptiles, and about the same for amphibians as reptiles. Say 80 billion reptiles and 80 billion amphibians. This gives us a very rough estimate of animals in the United States, not counting fish, insects, arthropods, or protozoans, of about 215 billion animals living at one time. Very, very, few of those animals will live longer than five years. Most will only live about a year (small mammals, birds, reptiles and amphibians have very short life expectancies). For the sake of argument, let us assume an absurdly long life expectancy of five years. That would mean about 43 billion animals die every year. Almost none of them die of old age in nature. Most are killed and eaten. A great many die in accidents. Of the 43 billion that die every year, the top end estimate for lead poisoning is 20 million. Using that number, .047 percent of animals that die in the U.S. each year die of lead poisoning, while 39% are killed by domesticated and feral cats, and .84 percent die in vehicle collisions. I suspect the numbers are absurd. They only serve to make the point that the numbers of animals that die of lead poisoning are a virtually irrelevant percentage of the number of animals that die every year, whether man has anything to do with it or not. I do not believe that cats kill almost four of ten birds and animals that die in the U.S. every year. I doubt if the actual figure is even a tenth of that. The reality is that life and death are intertwined. You cannot have birds without killing other birds, fish, insects, or ungerminated innocent seeds. The best we can hope to do is to be good stewards of the land, increasing fertility and attempting to keep animal populations from getting completely out of control. In the United States, because of irrigation and fertilizers, there is much more productive land than ever before. Biomass has greatly increased. Some animals did not fare well, others benefited enormously. The whitetail deer and coyote populations have soared. Bison and wolf populations plummeted. Rock Doves (domestic pigeons) are numerous. The passenger pigeon became extinct. The small percentages that die because of the intervention of man are more than made up for by the large increase in animal population that occurs because of the incredible increase in the fertility of the land. Man's intervention has made the United States far more fertile than it would be without man. The Tennessee Hearing Protection Act was signed by Governor Bill Haslam on 9 May, 2017, and becomes effective on 1 July, 2017. The act eliminates the ban on the ownership of gun mufflers/silencers/suppressors by the State of Tennessee. SB0921 or Tennessee Hearing Protection Act (HPA) was a popular bill in the legislature. It was passed in the Senate, 28-1 on April 3rd. It was passed by the House, 74-18, on May 1st. As introduced, enacts the "Tennessee Hearing Protection Act," which deletes the prohibition on possession, manufacture, transport, repair, or sale of a firearm silencer. - Amends TCA Section 39-17-1301 and Section 39-17-1302. 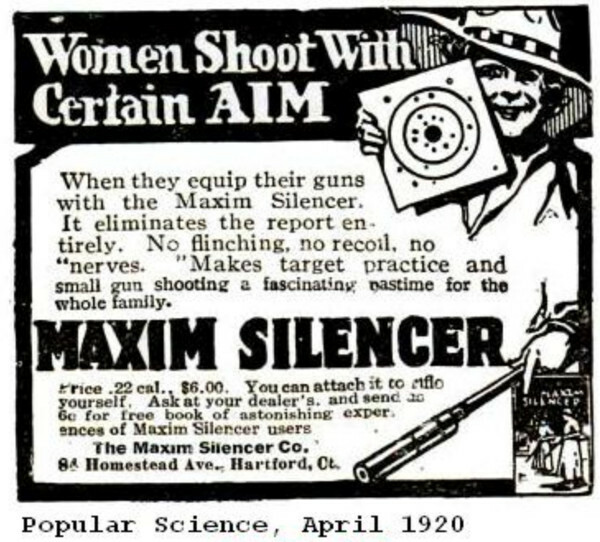 Firearm silencers were invented in 1902 by Hiram Maxim. He also invented automobile mufflers. The two inventions are remarkably similar. Car mufflers came to be required equipment by law on the public roads. For no apparent reason, gun mufflers (aka silencers) were effectively outlawed by the FDR administration in 1934 through insanely high taxes and burdensome regulation. The $200 tax in 1934 was the equivalent of $3500 today. At the time, a Maxim Silencer cost about $6. The federal tax was 3,300% of the cost of a silencer. Reform of silencer/gun muffler law has been sweeping the nation. The American Suppressor Association (ASA) states that 18 states have legalized hunting with suppressors since 2011, and three states have legalized the ownership of suppressors. The elimination of the Tennessee statutes that made suppressors illegal in the state does not eliminate the federal regulation of silencers. But federal prosecution of silencer law is more difficult than state prosecution, and the federal Hearing Protection Act is very popular. It has been in the top ten most viewed bills on the Congressional web site for many weeks. The act has 141 co-sponsors, including three Democrats. If the federal HPA passes, Tennessee will not need to worry about useless state regulations. The Texas Legislature has passed significant knife law reform by large margins. The bill is on the way to Governor Abbot, and will likely be signed into law. 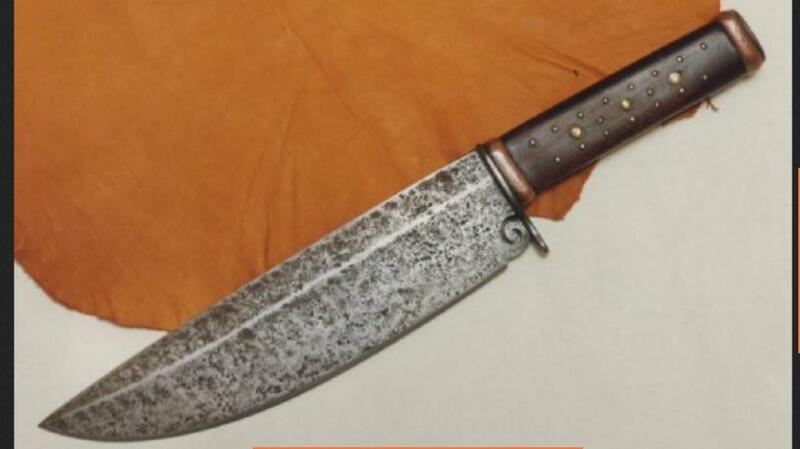 The bill removes bowie knives, dirks, throwing knives, daggers, swords and spears from the list of "illegal knives". H.B. 1935 in the House with a vote of 131 to 1. The Senate vote has not yet been reported. In the last legislature a similar bill was approved by the Senate unanimously. The ban on knives was first passed in 1871. The reconstruction government had to change the Texas Constitution to pass the law. Businesses that earn more than 51% of their income from the sale of alcoholic beverages to be consumed on the premises. 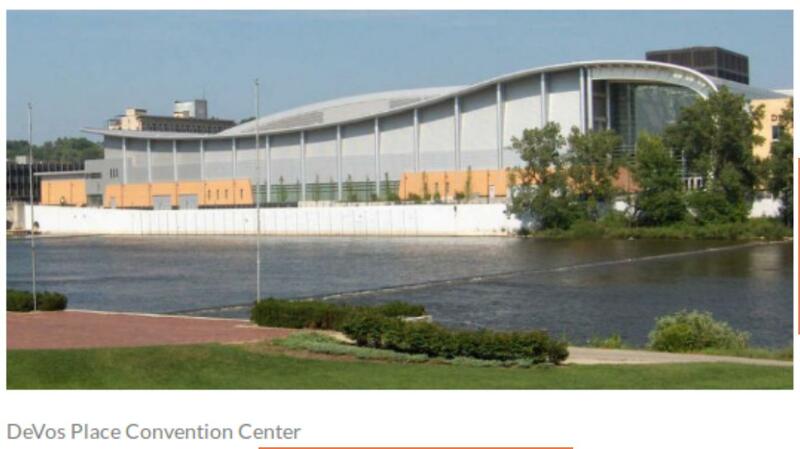 Premises where a high school, collegiate, or professional sporting event, is taking place. There are exceptions in the law for the use of ceremonial blades and in historical and theatrical events. In the last Texas legislature, similar legislation passed both houses unanimously, without the location restrictions. The bill was supposed to be put on the "Local and Uncontested Calendar in 2015. It has been reported that Senator Whitmire had agreed to put the bill on the Calendar, then failed to do so, killing the bill for that session. Senator Whitemire is a Committee Chair and a Democrat, in the Republican legislature. Knife Rights deserves credit for effective lobbying in Texas to pass this bill. If signed by Governor Abbot, the law will take effect on 1 September, 2017. Notice what is not in the report? No indication of a neck grab. No indication of punching. It is not clear what Ben Jacob means by a "body slam" but it appears, from his later description, that it means he went from vertical to horizontal. "You know, and I'm the one who said that," Acuna replied. "I saw both his hands go up, not around his neck in a strangling type of way, but more just on each side of his neck, just grabbed him and I guess it could've been on his clothes, I don't know." What exactly did happen? We do not know. It seems likely a minor incident was portrayed as something more serious in an attempt to influence the Montana election. That attempt failed. Gianforte won with with 51% of the vote. The Democrat candidate pulled in 44% of the vote, the Libertarian, 6%. Totals do not add up to 100% because of rounding. COLERAIN TOWNSHIP, Ohio -- A bank customer and robber fired at each other Monday inside a Key Bank on Springdale Road, according to police. RIENZI, Miss. (AP) - The shooting death of a 77-year-old woman has been ruled a justifiable homicide by a sheriff’s office in Mississippi. STOCKBRIDGE — A 31-year-old man suspected in a Stockbridge armed robbery is dead following a Tuesday night home invasion and shooting, according to the Henry County Police Department. Robert MacDonald was found shot and killed at a home on Kinsey Drive late Tuesday. A homeowner's adult son held MacDonald at gunpoint after he allegedly broke into the home, and after calling for help, MacDonald was shot in his chest by the man's father. The Police Department announced MacDonald’s death in a press release Wednesday afternoon. His description matched that of an armed robbery suspect who reportedly held a knife to an employee at a Stockbridge Dollar General one hour before the home invasion, a spokesman stated in the release. WICHITA – A Kansas man convicted of misdemeanor domestic battery under a city ordinance can legally carry a gun, an appeals court found in a ruling that could have broader implications for firearm sales. We interpret “State” to have the same meaning in § 921(a)(33) that it has throughout the rest of §§ 921 and 922 and therefore conclude that “a misdemeanor under Federal, State, or Tribal law” does not include a violation of a municipal ordinance. In these sections, when Congress refers only to “State” law, it does not also include the laws of a state’s political subdivisions. Accordingly, because Defendant’s prior violation of a Wichita municipal ordinance was not a “misdemeanor crime of domestic violence” as defined by § 921(a)(33), the government has not demonstrated that he was prohibited from possessing a firearm under § 922(g)(9). About 43 percent of new domestic violence cases are heard in municipal court. The case opens up a new strategy for defendants who are charged with domestic violence. Those who wish to avoid the expense of a trial have an option that may avoid loss of Second Amendment rights, by pleading to a municipal ordinance. Those who have been convicted under municipal or other local ordinances now have a reasonable case to appeal their status as prohibited possessors. A Kensington homeowner shot a 47-year-old man who was breaking into his residence Tuesday afternoon, police said. Apparently, Peters had been acting "crazy" and was carrying his rifle around with him, according to Neal's press release. "Mr. Peters then went to Mr. Paul's bedroom and pointed the rifle at him. Mr. Paul grabbed a handgun that was next to his bed and fired at the victim to protect his life. Mr. Peters fell to the ground and Mr. Paul called 911," Neal's press release states. Shreveport police say they got the call at around 7:40 this morning that there was a shooting at Country Club Apartments in the 4300 block of Lakeshore Drive. There, they found Leeartavious Barrett, 37, suffering a gunshot wound to the head. He was taken to University Health. Based on a preliminary investigation, the woman was leaving the complex, presumably on her way to work, when Barrett allegedly attacked her and tried to strangle her. That's when she pulled out her own gun and shot him. Police have identified the victim as 34-year-old Moss Point resident Jerry Lee Lyons and say when they arrived on the scene he was lying face down in the doorway with several gunshot wounds. Lyons was taken to Singing River Hospital where he later died. The homeowner told investigators the man was wearing a mask and had a gun as he crawled in through a bedroom window when the shooting happened. Police say it appears the homeowner acted within the law. Police identified the man killed as 25-year-old Malcolm Tyler Payton of Evansville. A homeowner is recovering after a home invasion on Woodington Lane in northwest Charlotte. That homeowner fired 14 shots at the intruders then ran for help, police said. Witnesses said the man who owns the home crawled out of a small window, slid down a sloped ledge, and injured himself when he fell on the ladder rail on the back of a work truck. On 18 May, 2017, the Tennessee Legislature sent bill HB0508 to Governor Haslam for action. The bill was very popular in the legislature. It passed the House 71-14, and the Senate 26 to 6. The essence of the bill is that it requires local and state government entities to use more than mere signs to ban firearms from their premises. The common sense approach is that signs merely stop law abiding people from carrying, while doing little to prevent people armed with ill intent from entering such facilities. The mechanism to enforce the bill is that of private lawsuits. Triple damages, including attorney fees, may be awarded under the provisions of the bill. Organizations whose members are effected may sue. The bill removes immunity from state or local government entities if they prohibit the lawful carry of firearms from their property, unless they institute actual measures to prevent people from carrying firearms on the property. The measures required would be metal detectors and security guards on all public entrances. (F) Facilities that are licensed by the department of human services and administer a Head Start program. "You can veto it, but if something passes two-to-one, you're probably wasting your breath," Haslam says. "So you're better off to try to work on the front end to try to get the bill in as good a shape as it can be." This reform measure will eliminate some irrational gun free zones, but some new ones are created. In previous law, gun free zones were only allowed in rooms where court proceedings were actually in session. The new law changes that to buildings that contain rooms where judicial proceeding happen. It is a major change. The bill is a tradeoff. Most legislators probably did not realize the change created by (C) above. With Donald Trump as President, now is the time to reform federal knife laws and to protect knife owners from abusive state laws. Two different bills have been introduced, one in the House, H.R. 84, by Knife Rights, and one in the Senate, S. 1092, by American Knife and Tool Institute (AKTI). The two bills are based on continuing efforts by both groups. They are superficially similar, but differ in crucial details. Both bills are fairly short. As with all legislation, you have to read the language very carefully and critically to understand some of the differences. 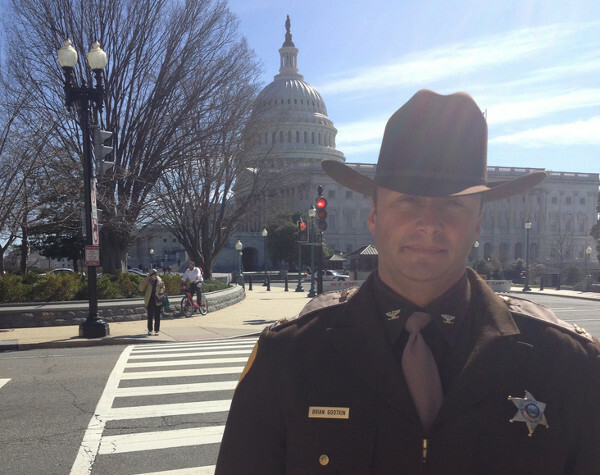 The Knife Rights bill creates serious reform and institutes significant protections for knife owners across the nation. While based on the concept of the Firearms Owners Protection Act (FOPA), it corrects numerous flaws in that legislation. It provides penalties for local officials who violate the law. It protects all legal acts of possession, carry, or transport. It eliminates the federal ban on the interstate commerce, manufacture, or importation of automatic knives. The repeal of that ban is long overdue. The use of a comma and the word "or" in the phrase "possess, carry or transport" means that each separate action is protected. When the word "and" is used, as in the ATKI bill, it requires that both actions be present for the protection to exist. Reform of knife laws has been popular across numerous states. But in some states, such as New York and New Jersey, abuse of knife owners by local officials has become common. ATKI and Knife Rights should be natural allies who work together to restore the Second Amendment rights to keep and bear knives. Knives are arms protected by the Second Amendment. Knife Rights introduced SB 245 in Michigan, for example. The bill removes the ban on automatic knives put in place in Michigan in 1952. ATKI supports SB 245. It is common sense that ATKI and Knife Rights work together to support federal reform. Second Amendment supporters won a significant victory with the election of Donald Trump. The appointment of Justice Gorsuch to the Supreme Court shows that support was justified. Now is the time to push for reforms that would have been vetoed by President Obama. The AKTI effort is appreciated. All efforts to restore Second Amendment rights are appreciated. But the AKTI bill, S. 1092, is too timid for the times. Under President Trump, more can be achieved. Knife Rights has an impressive record of passing and influencing state and federal legislation. For those who live near Atlanta, AKTI will be at booth #16 in the Blade Show on June 2-4, 2017. Knife Rights will be at booth 706. A one day ticket for the show costs $18 online, $20 onsite. Police are investigating after a burglar was shot Saturday afternoon while breaking into a northwest Oklahoma City apartment. Officials said the burglar broke into an apartment complex in the 5700 block of Northwest 23rd Street, near North MacArthur Boulevard. A resident was at the apartment and shot the burglar in the side. A 78-year-old woman was shot inside her Red Lion home early on Saturday morning by her husband who thought she was an intruder, according to Pennsylvania State Police. Joan Reichard was in stable condition at York Hospital, with what police described as a non life-threatening gunshot wound to the chest. The shooting, which few neighbors said they heard on the quiet borough street, was said to be a "pure" accident, according to Trooper Brent Miller, a state police spokesman. It has long been known that nonimmigrant aliens may purchase and own firearms in the United States for hunting or for sporting purposes. In recent months, federal and state officials have cited at least eight Chinese students at the University of Arizona for fraudulently obtaining resident hunting licenses, and also seized from them a number of firearms obtained using those licenses. A high-ranking federal official told the Star his agency has no evidence of “malicious intent” by the eight students. Nevertheless, the purchases reveal what officials say is a potentially troubling vulnerability in federal and Arizona firearms laws, which exempt international students and other non-immigrant visa holders with hunting licenses from prohibitions on gun ownership. But another requirement was added by 2015.
and who does not claim residency for any purpose in any other state or country. Was the extra requirement added at the suggestion of the federal government? 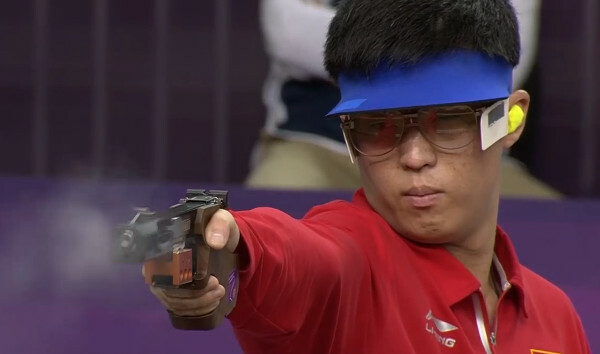 It was this added requirement that tripped up the Chinese student firearm enthusiasts. They were cited for fraudulently obtaining a resident hunting license in Arizona. If they had obtained a non-resident license, they would have been legal. 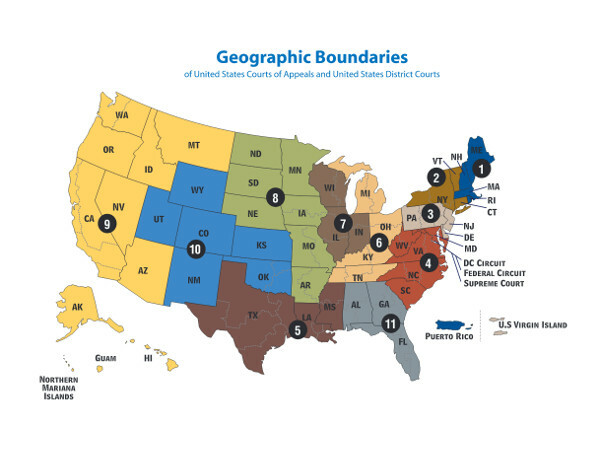 States vary considerably in what is required to obtain a resident hunting license. In Iowa, a full time student qualifies. Our Chinese students would have been perfectly legal in Iowa. An Arizona non-resident hunting license is $165 per year. If you are in the USA on a nonimmigrant visa, it is a small price to pay to own a firearm, compared to the enormous costs of owning firearms in most of the rest of the world. But you could purchase a Utah non-resident hunting license. A Utah non-resident 1 year basic hunting license is $65. Another suggestion for people here on nonimmigrant visas: join a shooting club and compete in competitions. You could do so with borrowed equipment at first. After you decide what you wish to purchase, then use a valid hunting license and copies of your competitions to meet the federal requirements. The law does not limit nonimmigrants to hunting; sporting purposes, which include competitions, are included as well. I am not a lawyer, nor do I play one on the Internets. But a valid hunting license and proof of participation in club competitions should be more than sufficient to meet the federal requirements for legal firearm ownership by nonimmigrant aliens. LEXINGTON, Ky. (LEX 18)-- A shot was fired after a man was caught breaking into a home on East Loudon Friday afternoon. The fire department forced entry into the home. The man fired shots at the firefighters, police said. The man, who identified himself as Kenneth Glenn Mullins, was taken into custody for questioning. POMPANO BEACH, Fla. - An auto repair shop owner fatally shot a customer Friday morning during a business dispute, authorities said. Broward sheriff's deputies said the victim, Richard Buchanan, 28, approached the owner of the repair shop at 2100 N. Powerline Road just before 9:40 a.m.
A man was with friends in his apartment off El Camino Real near Seafoam when a group of assailants arrived and attempted to rob them; the man who was renting the apartment fled. When he later returned, police said, his friends mistook him for one of the robbers returning, and he was shot through the apartment window. At about 11:45 p.m., the woman called police to report that she had shot her ex-boyfriend outside Kum & Go, 2110 Guthrie Ave., according to a Des Moines police report. She told police her ex-boyfriend had tried to run her over with his vehicle, so she fired the gun in self defense, according to the report. Harmon said Lucky was a pit bull-mix puppy, who escaped from their home around 8:30 p.m.
"She ran out the door and she got as far as the street and he shot her," she said. A 42-year-old man jogging past Harmon's home told deputies he shot the dog because he felt threatened when the dog charged at him. After the man was hit with a brick by one of the suspects, he wrestled the bat from the other suspect and hit and injured a suspect, according to the sheriff. Freeman ran but was chased into nearby woods by armed neighbors, who held him until deputies arrived, according to the release. One suspect hit the victims’ dog with a baseball bat during the incident as the dog tried to protect its owners, the sheriff said. Freeman is in jail, and Alcantar is in a hospital, the sheriff said. Both teens will be charged with home invasion, armed robbery, burglary, aggravated assault and cruelty to animals. Olvera says the intruder grabbed the televisions inside the home and flung them at the family before he made a move toward the bedroom where three young children, ages 10, 8 and 5, were sleeping. That’s when Olvera says her brother-in-law grabbed his gun and fired a warning shot into the air. But the intruder kept attacking the family. So Olvera says her brother-in-law shot the intruder in the chest, twice. "He swung one of the knives and stabbed Will in the lower abdomen in his lower back," Pido explained. Goodwin grabbed a gun from behind the counter, but the intruder wrestled it away and pistol-whipped the owner on the head. As Goodwin ran from the store, two shots were fired. One bullet shattered a game of chance machine. The other bullet hit Goodwin's face and then shattered the front door. Seeing the homeowner, the suspect reportedly jumped out of the vehicle and charged at the man. Authorities said that’s when the homeowner opened fire, striking him. He then immediately called 911. 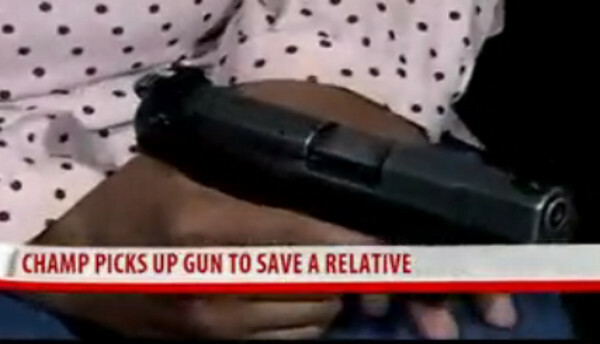 The woman's 86-year-old boyfriend returned with a gun. Reza allegedly started walking toward them both when the boyfriend fired two to three warning shots into the air. The boyfriend said Reza continued walking toward them so he fired another round, which struck Reza in the face. Reza was taken to Sunrise Hospital in Las Vegas where he was listed in fair condition. A .22 caliber revolver was taken and placed in evidence pending the Mohave County Attorney’s Office review. He jumped up and armed himself with his handgun. 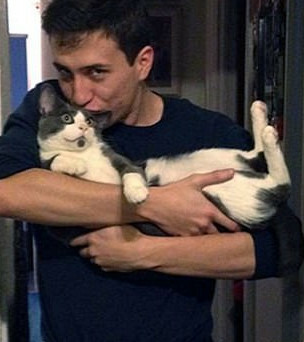 That’s when he noticed a man coming toward his bedroom. The resident said he shot at the intruder out of fear for his own safety. The intruder returned fire. The intruder exited the house and the two continued to exchange fire. A 23-year-old man attempting an armed robbery was shot by the victim Tuesday afternoon in the city's Feltonville section, police said.